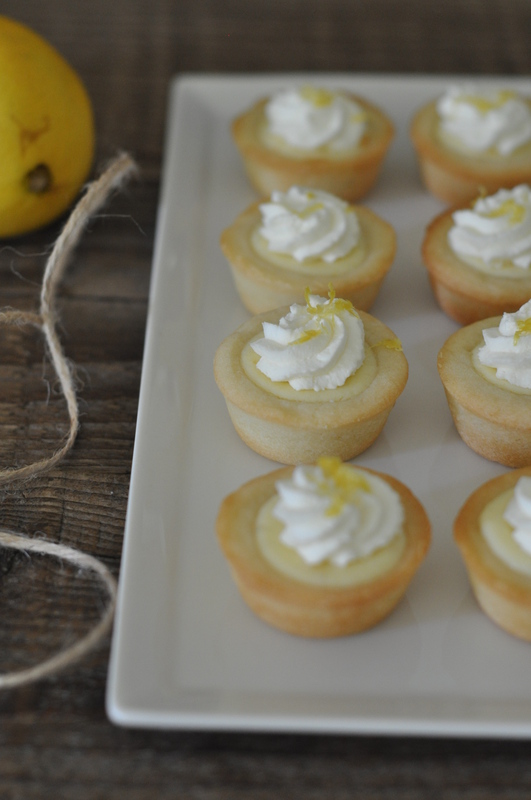 Recently I became obsessed with mini tartlets; they are convenient, perfectly portioned, and I love photographing them. Like my dark chocolate tartlets I previously made, I used the same batch of tart shell recipe. I had half the dough leftover, which I froze. This time, however, instead of using tartlet molds, I experimented with a wooden tart tamper I found at Sur La Table. 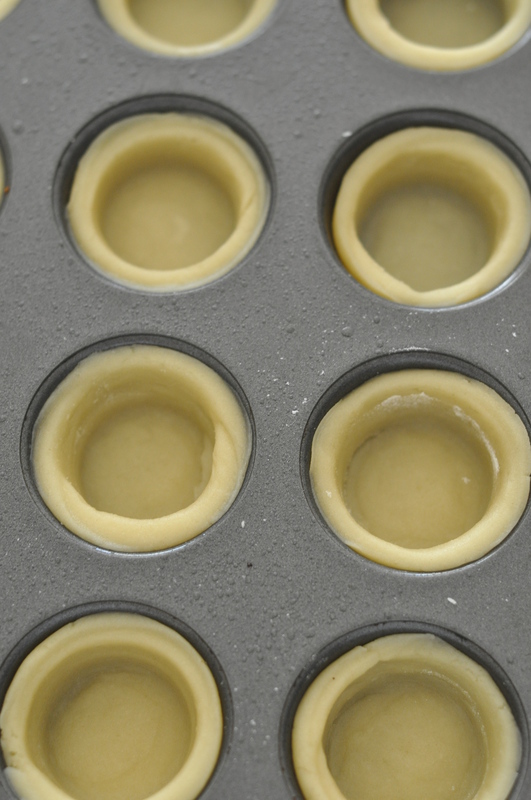 The tart tamper was really easy to use and it fit perfectly in my mini cupcake pan to form the round tart shells. 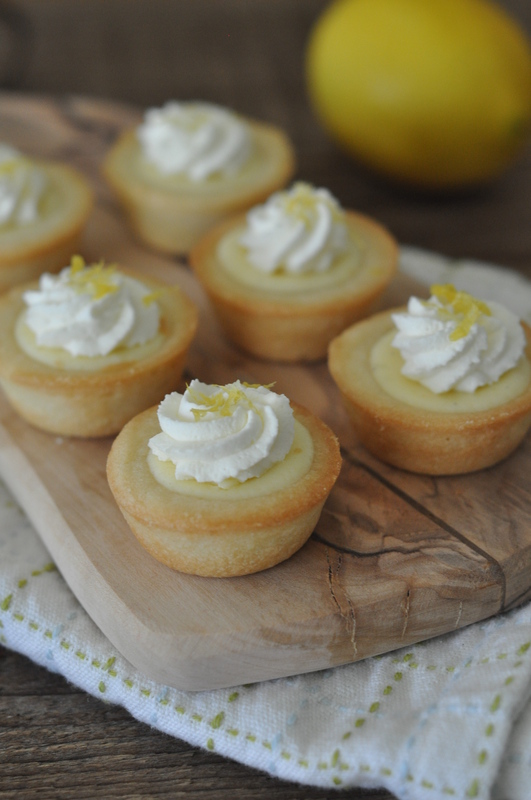 I used a basic cheesecake recipe and added lemon zest. Depending on your preference of tartness you can adjust the amount of zest. I love the taste and fragrance of lemon zest so I opted to add more. These tartlets kept well in the refrigerator for several days, which was convenient because I readily had dessert waiting for me after dinner. Y= half the dough yields 24 mini tartlets. The other half can be frozen if not used immediately. Cream the butter, sugar, vanilla and salt together. Add the flour. Slightly mix. Finish mixing by hand on a floured surface. Divide dough in half, flatten. Wrap in plastic wrap and refrigerate at least 30 minutes to 1 hour. Slightly spray mini cupcake pan with non-stick spray. Remove the dough from the refrigerator; working in small pieces, roll a piece of dough into a ball. (I eyeballed the size of the pieces). Place ball of dough into the pan. Repeat until you fill the entire cupcake pan. Have a bowl of extra flour set aside. Dip the tart tamper in the flour and proceed to flatten each ball of dough. 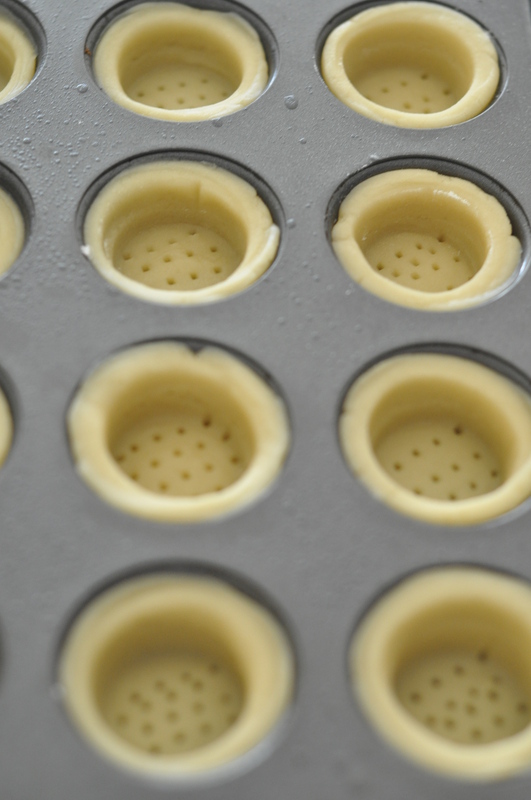 As you push down with the tart tamper, the dough will take the shape of the cupcake pan. Re-dip the tamper in the flour as needed to prevent dough from sticking. Using a fork, gently poke several holes in the lined dough. Refrigerate the lined molds for 10-15 minutes. Bake at 350F for 12 minutes. Remove and slightly chill before filling. Press the tart tamper down on the dough and it will take the form of the pan. Dock the lined dough by using a fork to make tiny holes. Using the paddle attachment of a mixer, cream the cream cheese and sugar together. Stop and scrape down the sides. Continue to paddle until smooth. Add the egg and egg yolk. Continue to mix. Add the sour cream and vanilla. Mix to combine. Add lemon zest. Mix to combine. Fill a pastry bag with the cream cheese filling and carefully pipe into tart shells. Bake at 275F for 20 minutes. 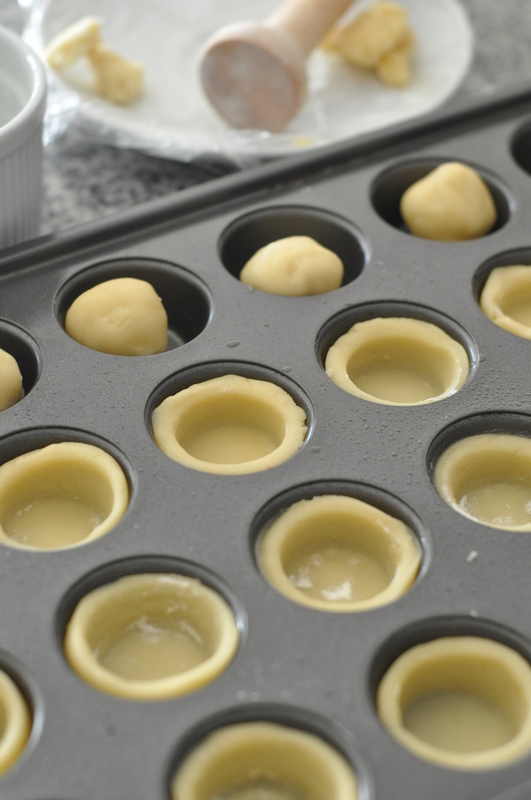 Remove from oven and allow tartlets to chill at room temperature. 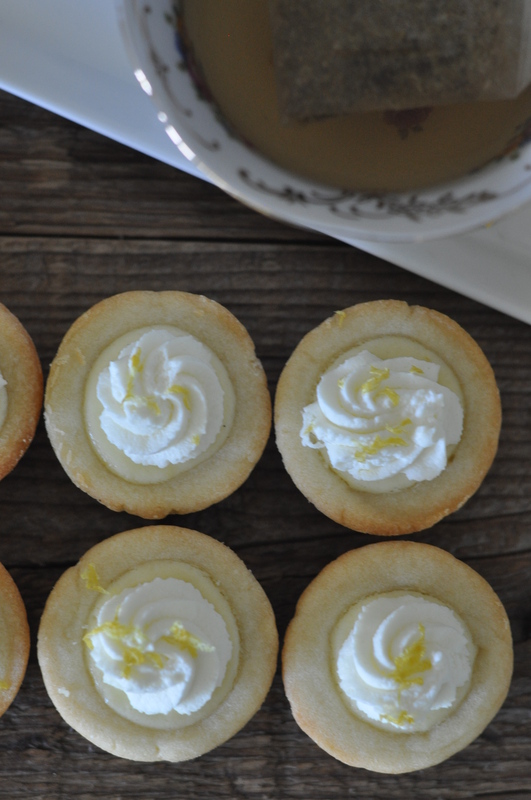 Garnish with whipped cream and more lemon zest.